and bring down costs for residents. Discover how you can optimise your community heating scheme to maximise the benefits and bring down the cost of heat for residents. 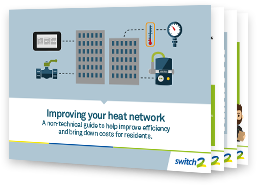 There are a number of initiatives to improve the performance of heat networks, by addressing the way they are commissioned, designed and implemented. But, what about existing community heating schemes that were not implemented to these standards; can they be improved?